Geb. in Kiew, Sowjetunion (Ukraine), 2. Januar 1987. Verteidiger. 296 Spiele in Russlands höchster Liga für Lokomotiv und Metallurg Novokuznetsk. U20 WM 2007 (Silber), U18 WM 2003 (Bronze), 2004. Geb. in Lipetsk, Sowjetunion (Russland), 27. Juli 1980. Verteidiger. U20 WM 2000 (Silber). 532 Spiele in Russlands oberster Liga für Salavat Yulayev Ufa, Lada Togliatti, ZSKA Moskau, Atlant Mytischi, Dynamo Moskau und Lokomotiv Yaroslavl. Geb. in Magnitogorsk, Sowjetunion (Russland), 5. Mai 1987. Center. Metallurg Magnitogorsk (Jun. ), Québec Remparts (QMJHL). U20 WM 2006, 2007 (Silber). 390 Spiele in Russlands oberster Liga für Lokomotiv Yaroslavl. Geb. 29. November 1974 in Dubnica, Tschechoslowakei. Center. NHL-Draft 1993, Nr. 227, Ottawa Senators. NHL-Total: 847 NHL Spiele, 304 Tore und 768 Assists. International: 6 Weltmeisterschaften- und zweimal an den Olympischen Winterspielen (2006, 2010) für die Slowakei. Geb. 25. Juli 1986 in Ordzhonikidze, Sowjetunion. Verteidiger. Robert Dietrich kehrte in seiner Kindheit nach Kaufbeuren, Deutschland zurück. Junior der Adler Mannheim. DEL-Debüt mit DEG Metro Stars. NHL-Draft der Nashville Predators. Milwaukee Admirals (AHL), Adler Mannheim, Lokomotiv Yaroslavl. Drei Weltmeisterschaften für Deutschland, zwei U20- und eine U18 Weltmeisterschaft. Wechselte im Sommer 2011 in die KHL. Das Spiel in Minsk wäre sein erstes KHL-Spiel gewesen. Geb. in Jaroslavl, Sowjetunion (Russland), 2.5.1985. U20 Silber 2005. Galimov war der einzige Spieler der den Absturz überlebt hat, jedoch waren 90% seines Körpers schwer verbrannt. Er wurde ins Visnevskyj Institute of Surgery of the Russian Academy of Medical Sciences transportiert, wo er im künstlichen Koma gehalten wurde. Galimov verstarb am 12. September 2011 aufgrund seiner schweren Verbrennungen. Geb. in Togliatti, Sowjetunion (Russland), 20. August 1988. Verteidiger. Stammclub Lada Togliatti. Superliga Debüt 2005. 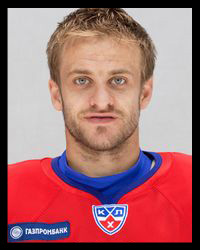 Nach Togliattis Abstieg wechselte Kalimulin zu Lokomotiv Yaroslavl. Kalimulin spielte 173 Spiele in der obersten russischen Liga, davon 56 für Lokomotiv in der Saison 2010/11. Geb. in Tscheljabinsk, Sowjetunion (Russland), 24 September 1987. Stammklub Traktor Tscheljabinsk. In der Saison 2005/06 zu Lokomotiv Yaroslavl, dies war gleichzeitig sein Debüt in der obersten russischen Spielklasse. Mit Ausnahme eines Abstechers zurück zu Traktor, spielte Kalyanin stets für Lokomotiv. War nie an einer Weltmeisterschaft, absolvierte aber drei Freundschaftsspiele für Russland in der Saison 2010/11. Geb. in Jaroslavl, Sowjetunion (Russland), 4. August 1987, Spielte für die Junioren von Lokomotiv Yaroslavl bis 2007. Während dieser Zeit wurde er für 22 Spiele, innert 2 Saisons, ins Fanionteam berufen. 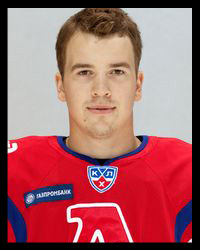 Nach 2 Jahren bei HK Belgorod und Kapitan Stupino kehrte Kirjuchin 2009 zurück nach Jaroslav und spielte bis 2011 seine ersten beiden kompletten KHL Saisons. Kirjuchin absolvierte 164 KHL-Spiele für Lokomotiv. An der U20-WM 2007 holte er die Goldmedaille. Er war der Sohn von Anatoli Kirjuchin, ein ehemaliger Sowjetischer Fussball-Spieler und Coach von Sinnik Jaroslavl (Fussball). Geb. in Rybinsk, Sowjetunion (Russland), 10. November 1989. Spielte in der Juniorenzeit für Polet Rybinsk (in einem Vorort von Jaroslavl) befor er im Alter von 11 Jahren in die Organisation von Lokomotiv Jaroslavl kam. Kljukin gewann 2007 U-18-Gold mit Russland und holte an der U-20 WM 2009 die Bronze-Medaille. Sein KHL-Debüt gab der Center in der Saison 2008/09, er absolvierte KHL-129 Spiele. Geb. in Gdynia, Polen, 21. Dezember 1980, Liv galt als einer der besten Torhüter Schwedens. Er wechselte im Sommer 2011 von Sibir Novosibirsk zu Lokomotiv. Vorher holte Liv mit HV71 Jönköping drei schwedische Meistertitel. In der Saison 2007-08 wurde er als bester Spieler der Elitserien ausgezeichnet, in dieser Saison hatte er einen Gegentorschnitt von 2.26 Tore pro Spiel in in 46 Spielen. In 17 Playoff-Spielen unterbot er seine Bestmarke sogar auf 1.82 Gegentore/Spiel. Liv holte 2006 Olympia-Gold in Turin und WM-Gold in Riga. 2004 holte er WM-Silber und 2002 und 2009 zusätzlich zwei WM-Bronze-Medaillen. In seinem ersten KHL-Jahr wurde Liv ins All-Star-Team nominiert. Geb. in Jindrichuv Hradec, Tschechoslowakei (Tschechien), 31. 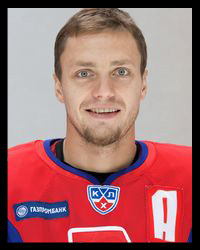 Dezember 1979, Marek wechselte 2011 zu Lokomotiv nach dem er den Gagarin Cup Final im Frühjahr mit Atlant Mytischi verloren hat. scoring 47 point in 47 regular season games before adding 17 point in 15 playoff games to help his team win the Russian Super League championship. enough to earn him All-Star honours. 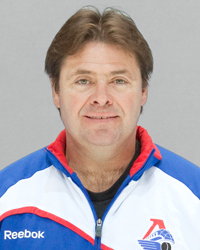 In 2010 he helped guide his country to a surprise gold medal at the IIHF World Championship. 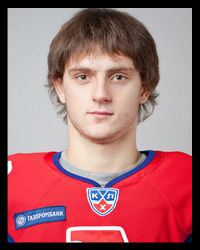 Born in Novopolotsk, Soviet Union (Belarus), 19 March 1990, Ostapchuk began developing his hockey career with Lokomotiv Jaroslavl’s junior squad. first in 2008-09 when he recorded 63 points in 61 games, earning him a place on the QMJHL’s All-Rookie Team. A year later he rejoined the Huskies and had 37 points in 38 games. 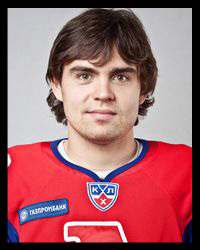 His success in Quebec led him to rejoin Lokomotiv last year. Ostapcuk didn’t represent any nation internationally, but was cleared to play for Belarus the same week he died. 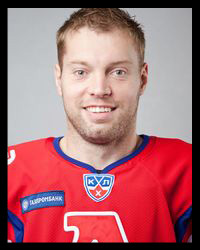 Born in Zlin, Czechoslovakia (Czech Republic), 27 August 1979, Rachůnek played several seasons in the NHL. 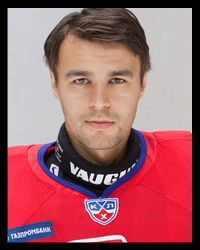 The defenceman also played for Lokomotiv for five seasons between 2002 and 2011, serving as the team captain last season. Rachůnek played two seasons for Dynamo Moscow before signing with Lokomotiv for the fifth time. 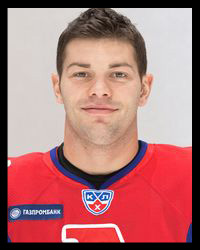 He was selected to the KHL All-Star team for three straight years beginning in 2008. Last season, as captain of Lokomotiv he tallied 46 points in 50 games during the regular season, the most by any defenceman that year. 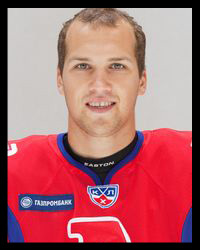 On the international stage, Rachunek represented the Czech Republic at three IIHF World Championships, winning the gold medal in 2010 and the bronze in 2011.
he went on to play more than 900 NHL games with the Ducks, the Florida Panthers, the Colorado Avalanche, and the Detroit Red Wings. 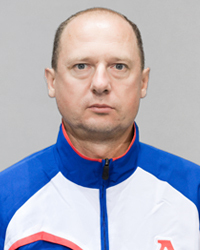 serving as captain of the Belarusian national team for the 2010 Olympic Winter Games. for HK Rybinsk. 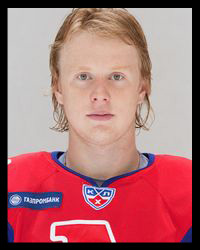 He participated in the 2011 IIHF World U18 Championship in Germany, winning the bronze medal. 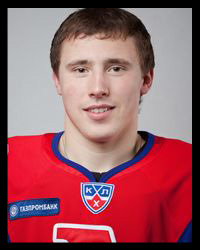 Suvalov was expected to move up from Lokomotiv’s youth team and make his KHL debut this year. 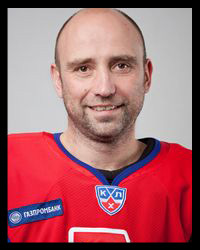 Born in Riga, Soviet Union (Latvia), 9 September 1974, Skrastins was one of the most experienced and reliable defenders in professional hockey. including not missing a single game through five straight seasons. His streak of 495 consecutive games played was an NHL record, broken only last year. 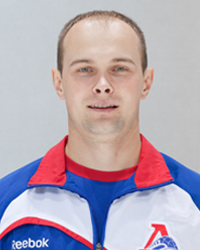 On the international level, he represented Latvia at three different Olympics, serving as team captain in Vancouver 2010. 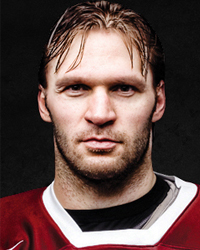 He was also Latvia’s captain for two out of the eight IIHF World Championships in which he participated. 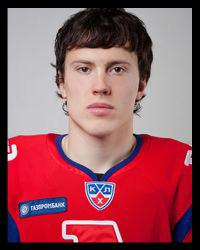 Born in Jaroslavl, Russia, 10 January 1992, Snurnitsyn had played two seasons with Lokomotiv Jaroslavl’s junior team in the MHL. 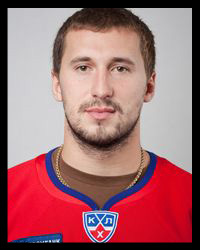 Last year, the forward had 27 points in 51 games and was gearing up to join Lokomotiv Jaroslavl in the KHL. 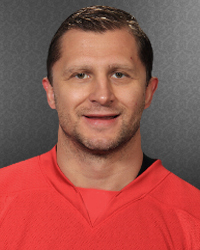 Born in Kyiv, Soviet Union (Ukraine), 13 April 1991, Sobcenko was drafted this year in the 6th round of the NHL Entry Draft by the San Jose Sharks. 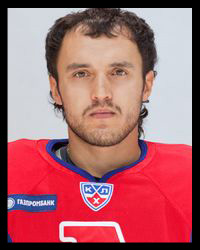 Prior to this year Sobcenko played his entire pro career at Jaroslavl, both in the KHL and with the junior team in the MHL. 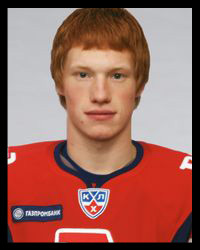 At the 2011 IIHF World U20 Championship, he tallied seven points in seven games as Russia won the gold medal. 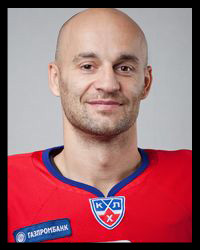 eventually moving up to the top division Lokomotiv team for the 2001-2002 season, when he had one of his best seasons getting 34 points in 44 games. 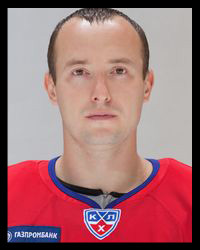 That same year, Lokomotiv won the Russian championship with Tkachenko scoring five goals and two assists in nine playoff games. given to the player who played the most games in the last three seasons. 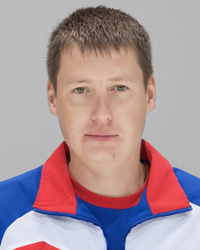 Tkachenko also received an IIHF World Championship silver medal with Team Russia in 2002. 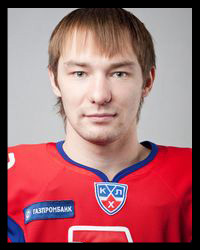 Trakhanov also helped guide MVD Balashikha to the Cup final in 2009-2010, losing to Ak Bars Kazan in seven games. He began his career with CSKA Moscow where he spent eight seasons with the top-league team before leaving for Severstal Cerepovec. 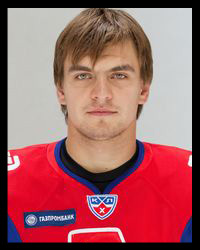 but was a key player in Russia’s gold medal campaign during the 2011 IIHF World U20 Championship. 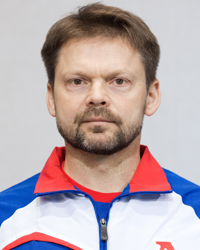 During the tournament Urycev amassed four points in seven games as he helped Russia claim the gold medal. before going on to play for the New York Islanders and Nashville Predators. 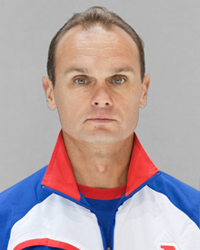 He represented the Czech Republic a number of international games, playing in three World Championships and at the 2010 Winter Olympics. 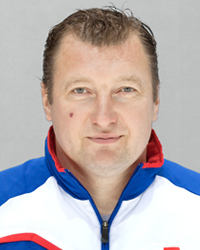 In 2005 he helped the Czechs to a gold medal victory at the World Championship in Austria. 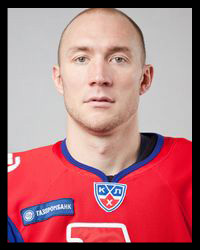 Born in Jaroslavl, Soviet Union (Russia), 22 April 1988, Vasjunov played in his hometown Yaroslavl from 2004 to 2009.
and then a brief stint with the New Jersey Devils in the NHL, who drafted him in the second round. 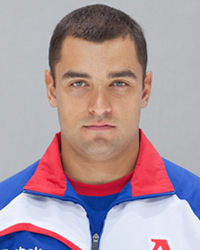 Vasjunov appeared in 12 international games for Russia at the U18 and U20 level, scoring six points and winning U20 silver in 2007.
as a junior where he played in Charkov and Kyiv. 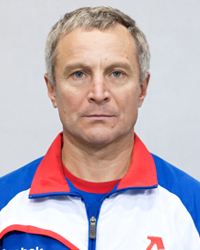 His long professional career began in 1992 when he joined Sokil Kyiv of the Russian Superliga. 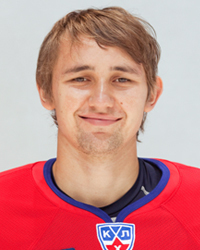 before being transferred to Lokomotiv Yaroslavl during the 2010-2011 season. 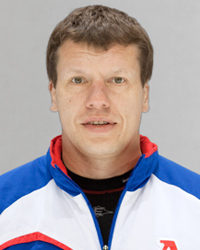 Vjuchin represented Ukraine in the 1999 IIHF World Championship and in two C-Pool World Championships. Geb. in Yaroslavl, Sowjetunion (Russland), 3. Mai 1990, Jarcuk played nearly his entire hockey career in his hometown. 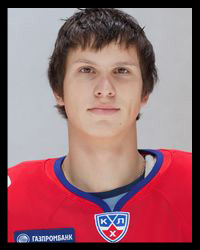 Moving up through Lokomotiv’s junior teams, he scored 16 points in 20 games for Loko Yaroslavl in the MHL last year. His best season came in 2007-2008 when he notched 28 points in 31 games in the Russian third-tier league. 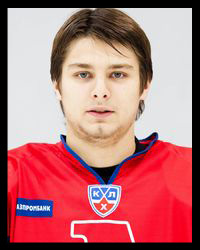 In 2008 Jarcuk scored a pair of goals to help his country claim the silver medal at the IIHF World U18 Championship. when he took over the position of head coach of Lokomotiv in May. His death has resonated across the hockey world, as his career touched a number of people in one of sports’ closest-knit communities. As a player, McCrimmon played for six different NHL teams, most notably helping the Calgary Flames to their first and only Stanley Cup in 1989. NHL: 81 Tore, 322 Assists, plus/minus +444. Begann nach seiner Spielerkarriere als Assistent bei den New York Islanders, später wechselte McCrimmon in die WHL zu den Saskatoon Blades. Als Headcoach kehrte er in die NHL zurück und war für die Atlanta Thrashers und die Detroit Red Wings tätig. Geb. in Moskau, Sowjetunion (Russland), 7. April 1970. Verteidiger. Einer der ersten russischen Stanley Cup Sieger. Holte zusammen mit Alexei Kovalev, Sergei Zubov und Sergej Nemchinov und den New York Rangers den Stanley Cup 1994. Weltmeister 1993. 12 NHL Saisons mit fünf Teams. 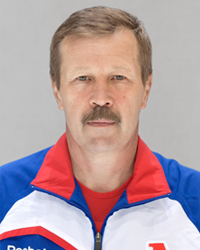 2010/11 Assistenz Coach bei AK Bars Kazan. Die Saison 2011/12 hätte Korpovtsevs erste Saison mit Lokomotiv werden sollen. Geb. in Moskau, Sowjetunion (Russland), 6. September 1970, Stürmer. Russischer Meister mit Dynamo Moskau 1992. 795 NHL Spiele für St. Louis Blues, Winnipeg Jets, Phoenix Coyotes, Toronto Maple Leafs und Chicago Blackhawks. Lokomotiv Yaroslavl während des Lockouts 2004/05. Später Metallurg Magnitogorsk (1x Russischer Meister), Atlant Mytischi und Lokomotiv Yaroslavl bis 2010. 493 Spiele in Russland/Sowjetunion. Canada Cup 1991, WM 1992, U18 EM 1988, Super Series, Europa Cup.